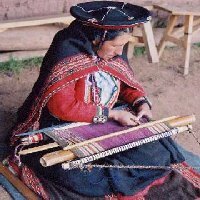 High in the mountain valleys around Cusco some of the Peruvian textile traditions dating back thousands of years are still being carried on. This film goes into the villages to see men and women spinning, dyeing, warping up, weaving and finishing with woven braids. 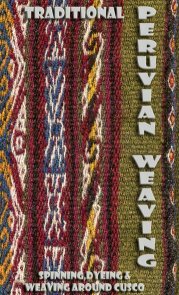 The contents include spinning on a drop spindle, dyeing with cochineal, scaffold warp and complementary warp weaving, woven tubular edging and beaded ribbons. This film has been made with the cooperation of Nilda Callanaupa and the Centre for Traditional Textiles of Cusco and visits the villages of Chinchero, Accha Alta, Chahuaytiri and Pitumarca.